Get dressed - Dance class is starting. 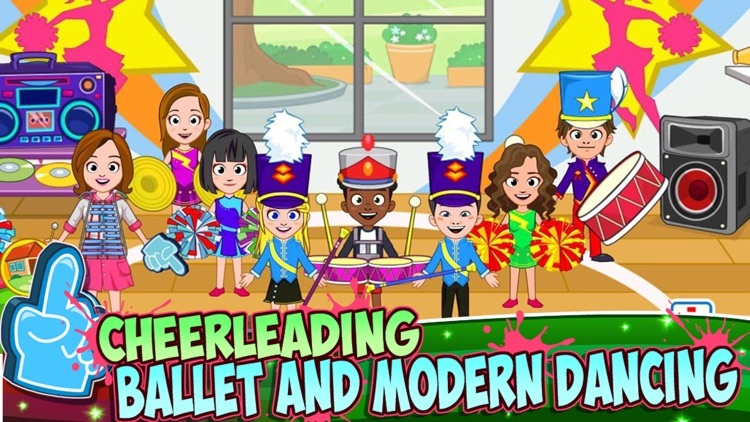 The app includes three dance classes to choose from: Ballet, Modern, and Cheerleader. Children are able to play with over 40 costumes, 50 props, and 14 characters. 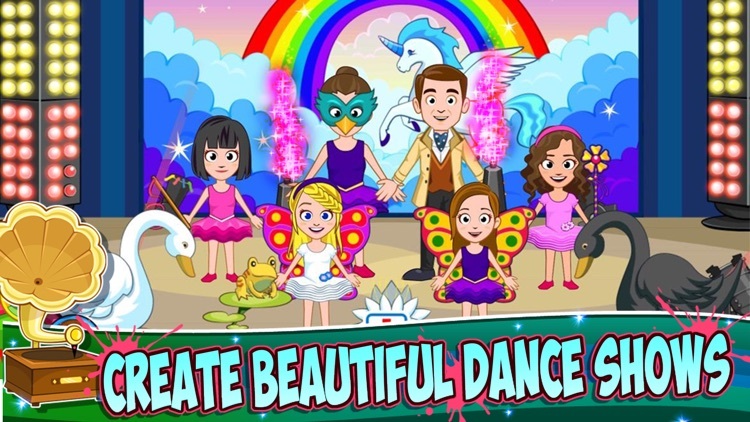 Create beautiful dance shows. 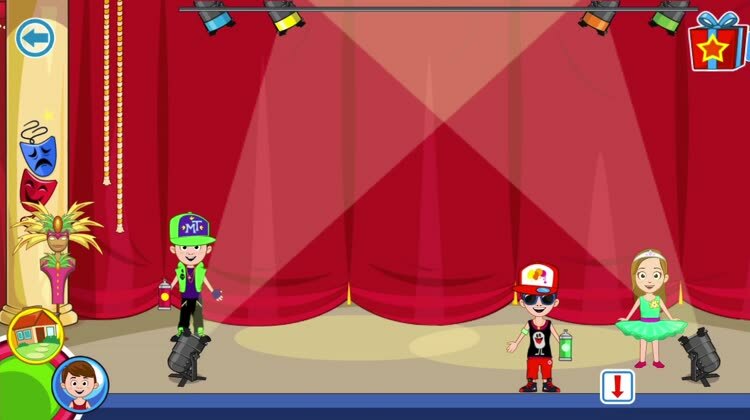 Your child gets to create their own dance school story. Just tap and swipe to see what happens. Welcome to My Town's new Dance School, a must have addition to your Town. 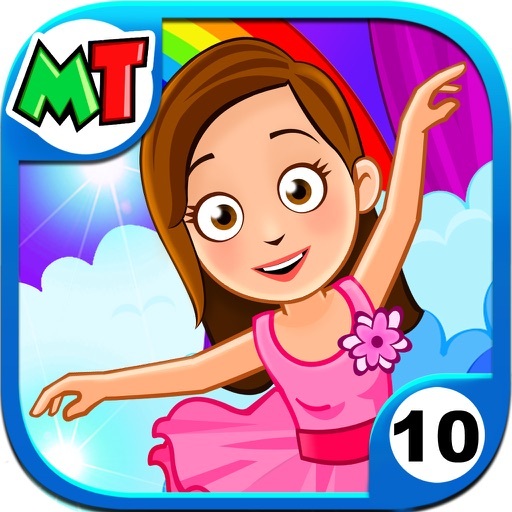 Practice in ballet lesson, get dressed for your cheerleading class, Prepare your dance show and customise the stage. Explore all the FUN locations, uniforms and instruments. Play with all the new and beloved My Town characters! 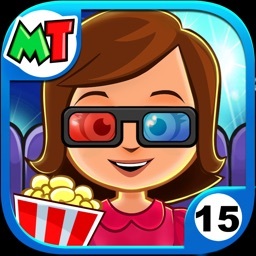 My Town games are all about experiencing, imagining and having pure playtime fun. 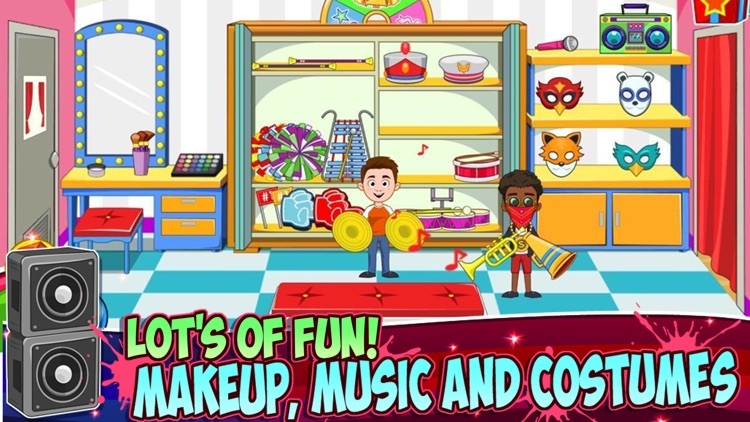 Our digital dollhouse games allow million’s of kids to have a new adventure everyday! 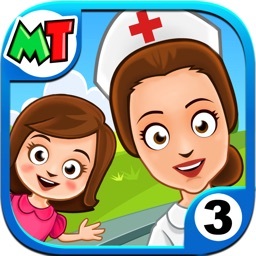 Our games promote imagination and stress free fun for kids when playing alone or with there parents. 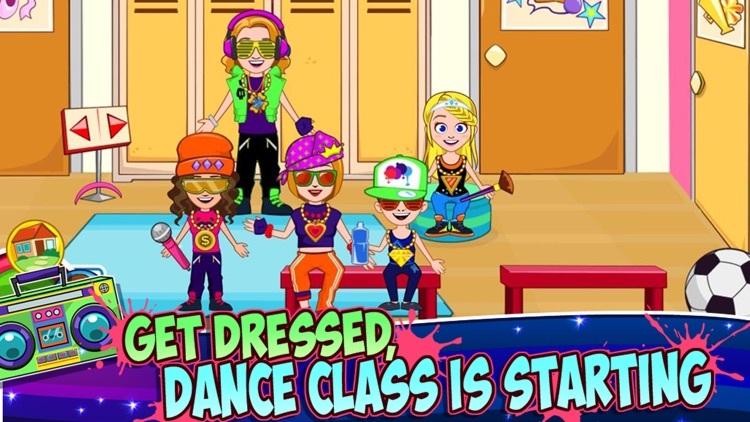 Create your own dance school story. Play with over 40 costumes, 50 props and 14 characters. Will you join the ballet lesson or will you build the perfect stage for your modern dance show? Everything is possible in My Town : Dance School. Discover something new every time you play! * 3 Dance classes - Ballet dancing, Modern dancing & Cheerleaders. All classes come with customised clothing, costumes, instruments, music and stage props. * Dance Show Stage - Build the perfect stage for the perfect dance show. Visit the backstage storage and pick the perfect props for your show. Confetti cannon, Fire blasters, swans and lights. Select background and control the music. If you can imagine it, you can make it. Everything is possible in My Town : Dance School! 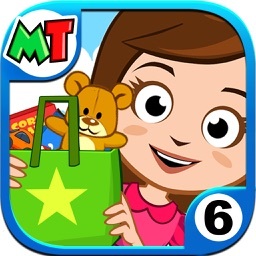 * Lots of exciting area’s for you to discover and play with. Kids 3-13 : The young ones play with parents while the older ones play alone. No Ads or In App Purchases. New locations means new interests and a lifetime game play of over 1 year! 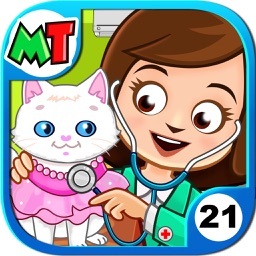 Today’s AppsGoneFree list includes a puzzle game, an entertainment app, and a matching game.